Why aren’t there more digital textbooks? On college campuses, technology is like air – always present, necessary, and only noticed when it is lacking. College networks reach seemingly everywhere. Today’s courses use technology for enrollment, collaboration, communication, etc. Much of the basic research that underlies technological breakthroughs in business and industry is pioneered on college campuses. We find on employee surveys that recent Millennial graduates are often underwhelmed by the technology they have access to at their employers because they became accustomed to a higher standard when they were students. Why then has a technological revolution that colleges are such a central part of seemingly skipped over what is at the core of most college courses: the college textbook? Depending on which source you consult, digital textbooks currently comprise between 10% and 15% of college textbooks and this percentage has been growing glacially … at like 1-2% per year. Contrast this with other types of books. There are currently nearly half a billion digital trade books sold each year. In the “normal” (non-textbook) book world, there are about two digital books sold for every three printed books sold. In trade publishing the conversation isn’t about whether digital books will continue to grow and dominate (as there is a consensus that they will), but more about how massive Amazon will become in the space and what the impact of a growing audiobook segment will be. Clearly, penetration of digital books is happening much slower in college textbook world than the trade book world. First and foremost, the role of publishers in the college textbook market is different than in the trade book world. About 80% of the college textbook market is controlled by just five publishers and there is a trend towards further market consolidation. Publishers have the lion’s share of market power; after all, they control nearly all the content. So they can also control how this content is distributed. Publishers’ market power is even greater than one might initially imagine. There might be just one or two viable choices for textbooks to select for a course. The result has been an increase in textbook prices of +1,000% or more since the mid-seventies, and, importantly, little incentive on the part of publishers to innovate. Publishers have created digital options and online learning systems, but these aren’t terribly innovative and largely serve to protect existing (and profitable) print textbook franchises. Textbook publishing is a cash cow and publishers protect it. A finger can also be pointed at colleges. The college bookstore was once seen as an essential service to provide for students. It is now viewed as a profit center, giving colleges little incentive to push back on publishers to keep prices low and to innovate. The college bookstore’s mission has moved from being educational to being profit-centered. College professors are unwittingly part of the problem. We have done studies that show that students largely buy the textbooks professors tell them to buy. Publishers market textbooks one professor at a time. There are no buying groups or purchasing departments negotiating prices on behalf of students. Our studies show that professors don’t think much about the cost of a book to a student before putting it on the list for the semester. Textbook costs and innovation just aren’t something professors seem to think much about. There are a few countervailing forces. Used textbook distributors help recycle books and keep prices down. Textbook rental firms have had a similar effect. Increased online buying options have created price competition. But, these forces are swimming upstream in the face of the power held by publishers. Our data show that although the total textbook market is growing (because more students are going to college) the average number of textbooks obtained is decreasing. But, the average price per textbook continues to increase. This leads us to conclude that students are managing increasing textbook costs by going without some books to compensate for increased prices on books they cannot do without. This clearly isn’t the right thing to do from an educational standpoint. Students should be able to afford the materials they need to learn. The internet has a way of being a disintermediater – of removing barriers between buyers and sellers and decreasing transaction costs. This effect has taken some market power away from publishers of traditional books. The ease of buying online at Amazon, the growth of digital books, etc., has served to make trade publishers less dominant than they used to be. And, in the non-textbook world, there has been a proliferation of self-publishing. An author no longer needs a publisher to reach an audience. Publishers are still important, but they are getting repositioned. This hasn’t happened with textbooks. Academic book authors still largely use the traditional route via publishers (although some do self-publish, but mostly for students at their own universities). What is most troubling about the lack of innovation in college textbooks is the academic impact it can have. There is lots of grumbling among student groups and elected officials about the cost of college textbooks. Few mention how true digital innovation in college textbooks would transform education. We’ve often talked about how when a new medium arises, it initially isn’t all that innovative from a content standpoint. As an example, when television first became established, its content was largely just adapted from the successful radio content of the day (news, variety shows, serials, etc.). Once the new, innovative delivery mechanism was established, the content itself changed to take advantage of the unique features of the new media. The Internet was similar – initially its popularity was as a new delivery mechanism for content that could be found on other media (information like news, weather, encyclopedias, etc.). Once the mechanism was established, the unique power of the Internet (communication, collaboration, etc.) became evident. Digital textbooks are following this pattern. Currently, digital textbooks are pretty much printed textbooks forced into a digital format – not much more exciting than a PDF copy of a textbook. But, digital textbooks hold much greater potential than printed textbooks. They can share highlights across students, catalyze students to collaborate on content they don’t understand, link to additional sources of information if an area is unclear, illustrate concepts with animations and video, adapt content based on formative assessments along the way, etc. It is easy to get enthusiastic about what a digital textbook could potentially do. It could transform education and teaching. It is easy to see a future where the textbook is the primary method of instruction and the professor becoming more of a coach and less of a lecturer. The incredible potential of digital textbooks won’t happen until textbook authors see this and start creating textbooks differently and until publishers move past their reliance on traditional printed textbooks and find a profitable path. This seems to be an industry ripe for disruption. We’d like to say this change is coming soon and is inevitable – but this entire blog post was based on a presentation we gave eight years ago to an industry event, so we have reservations that this change is impending. We recently completed a poll of 1,000 college students on the topic of free speech on campus. Previous postings (here and here) have shown that students are reticent to support controversial speakers on campus and do not support any speakers who might have viewpoints that some students find to be uncomfortable. In this final post on our poll results, we take a look at some contradictions in our data that demonstrate that today’s college students are torn between a desire to favor a campus that promotes free and open debate and an ethos that makes them want to protect the vulnerable from feeling uncomfortable. Students tend to express a desire for their professors to be given a wide latitude to express their views and are largely not in support of administrators censoring how professors express their views to students. Which statement below comes closest to your opinion? The result below shows that students report that colleges should encourage students to have an open mind to ideas that they may find uncomfortable. At first glance, college students seem to favor an atmosphere of openness on campus. Two-thirds (66%) agree that the intellectual vitality of a university depends on open and free expression of ideas. 63% agree that free speech, including controversial speech, is central to college teaching and learning. 57% agree that student-run newspapers have a first amendment right to publish controversial stories without running afoul of college administrators. 57% agree that students should be encouraged to report instances of professor bias to administrators. 48% feel that students should be provided warnings in advance to alert them to potentially troublesome readings. 45% feel that colleges should provide intellectual safe spaces, where students can retreat from ideas and perspectives that are at odds with their own. And, as we discussed in our previous postings, students shy away from permitting almost any type of speaker on campus that could potentially communicate anything that might cause a subgroup of students discomfort. So, there are some contradictions in our findings that needs explaining. We feel that there is likely some nuance on Millennial opinion. The Millennial college student seems torn between realizing that exposure to ideas counter to their own is essential to their education and a strong ethos of protecting the vulnerable. This nuance is difficult for Boomer and Xers (who make up most college administrators and professors) to grasp. Older generations grew up not only at a time when free and open speech was held to a higher standard but also at a time where the college/university campus was the nexus of student opinion and influence. Today’s Millennial student has experienced more cultural diversity on campus and has established digital meeting spaces are their nexus for opinion and community. Millennials are exposed to diverse and controversial opinions constantly, to the point where their desire to protect the campus from controversy and discomfort may be a defense mechanism. It is an environment they can control. What this all means for the university has yet to be seen. But, campus life is changing, and it will be key that the pendulum that is now swinging towards safety and comfort doesn’t swing so far as to limit student exposure to valuable viewpoints and a well-rounded worldview. We recently posted a result from an in-depth poll we conducted among 1,000 college students last fall. In this poll we asked students about specific speakers they may or may not support coming to their campus. Among our conclusions was that students largely aren’t supportive of very many speakers – particularly individuals who might be considered to be controversial or present ideas some might find uncomfortable. In this same poll, we asked students about types of speakers that might come to a college campus. We included speaker types we felt most observers would feel are appropriate as well as speaker types that we felt even the most passionate free speech advocates might question. Our goal was to see where “the line” might be for today’s college students. The answer is the line is very high – students largely don’t want campus speakers at all. Even the most highly supported type of speaker (A leader from the Black Lives Matter movement) is only supported by half (50%) of students. Support for any type of campus speaker is tepid. Two types of speakers stood out as having the most support: Leaders from the Black Lives Matter movement and advocates for the legalization of marijuana. It is perhaps troubling that only about 1 in 5 students (22%) support an elected official with views different from their own. Racially insensitive speakers (white supremacists and Holocaust deniers) are the least supported types of speakers. In general, students are more passionate in their opposition to speaker types than in their support. Speakers with racially insensitive views and those known to have sexually harassed someone are the most opposed types of speakers. Speakers who have sexually harassed are opposed just as much as white supremacists. About half of students oppose politicians who are against gay marriage and tobacco company executives. This is about the same level of opposition as to a speaker who believes there are racial differences in intelligence. About 1 in 4 students would oppose an elected official that has different views than the student. Because there have been instances of speakers being shouted down and even physically confronted by college students, we posed a question that asked students what they felt were acceptable ways to protest against a campus speaker. Which of the following actions would you take if you were strongly opposed to a speaker your college had invited to speak on campus? For the most part, students don’t support any actions if they strongly oppose a campus speaker. While it is encouraging to see that they do not support disrupting the speech or physically confronting a speaker, it is perhaps just as disheartening to see that only 1 in 4 would be willing to disagree with the speaker during a Q&A period. So, not only do students not want most types of speakers, they aren’t willing to step up and do something if a speaker they find controversial does come to campus. Just as we found when we looked at specific speakers, students seem to be shying away from not just controversial speakers, but also those that might make some portion of the student body uncomfortable. Based on these results, we predict that there will be fewer speakers invited to college campuses in the future and that attendance at these events will decline. Who is an appropriate campus speaker? Almost nobody! US colleges face many free speech challenges. Traditionally, colleges have been places where diverse viewpoints are encouraged even if ideas expressed are seen as controversial. But recently, there have been many instances of invited speakers to college campuses sparking protest, being shouted down, and even being physically confronted by students on campuses. It seems that a generational shift is taking place whereby Millennial students are highly concerned about inclusiveness and protecting vulnerable groups from potentially harmful speech. Prior generations of college students (Xers and especially Boomers) seemed to hold the concept of free speech in higher regard and seemed willing to permit more controversial speech on campus. This is a fascinating issue and we covered it in depth in a poll of 1,000 US college students conducted last fall. This poll tackled a number of issues regarding how today’s college students view the balance between free speech and protecting vulnerable groups. We will be making a number of posts to share the results of this poll, and our first one relates to who today’s college students view as appropriate speakers to bring to campus. We brainstormed a number of potential speakers, some liberal and some conservative. We listed government officials who, even though they have strong political opinions, we felt most of academia would say have a legitimate right to be heard. And, we listed celebrities accused of some reprehensible acts, speakers who have already generated controversy on college campuses, and foreign leaders considered to be rivals of the United States. Our goal was to see where Millennials draw a “line” – at what point is a speaker so controversial or so offensive that he/she would not have the support of students to come to campus to speak. In total, we listed 24 individuals. Only two speakers, Barack Obama and Bernie Sanders, receive support from a majority of college students. Liberal politicians lead the way – with 5 of the top 6 most supported speakers being leading Democrats. Donald Trump, our current president, is only supported by about 1 in 4 (24%) college students as a campus speaker. Celebrities accused of sexual harassment (Louis CK, Bill Cosby, Bill O’Reilly, Kevin Spacey, Harvey Weinstein) are among the least supported potential speakers. Donald Trump is clearly polarizing among college students, with 53% saying they would oppose him coming to their campus to speak. The most opposed speakers are foreign leaders/rivals (Kim Jong-Un, Vladimir Putin), Donald Trump, and celebrities who have been accused of serious crimes (Bill Cosby, OJ Simpson, Harvey Weinstein). Surprisingly, some speakers who have had challenges when speaking at college campuses in the past (Ann Coulter, Milo Yiannopoulos) don’t have high levels of opposition in this poll. These results are disheartening to those who feel that open expression of ideas is central to collegiate life. Perhaps the key conclusion from these data is how few speakers students support – showing a clear tendency of students to avoid perspectives they may find uncomfortable. This attitude has caused many college administrators to stop allowing potentially controversial speakers on campus as they worry about security and the unrest it may cause. Free speech advocates are likely to feel that today’s students are missing out on an educational opportunity – to listen to different perspectives to help shape a world view. In either case, attitudes towards free speech on campus are very different than a generation ago – a topic we will be pursuing as we release other data from this poll. Each year, there are a number of studies that show the same thing: there has never been a time when the salary gap between high school graduates and college graduates has been higher. According to Pew, this salary gap currently averages $17,500. The College Board puts the gap at $21,100.The implication seems clear: stay in school, go to college, and reap the benefits. However, there is actually a lot of nuance to this story and the true causes of this wage gap are rarely discussed. First, the fact that an average college graduate makes, say $20,000 more than a high school graduate entering the workforce does not mean that if you coax a high schooler who was not going to go to college to attend, he/she will make that much more. In fact, you should expect that particular student to make a much lower wage premium. Why? The data both Pew and the College Board cite suffers from what researchers would call a “self-selection bias.” In short, high school graduates who enter the workforce immediately after graduation aren’t a comparable base of individuals to those who choose to go to college. The result is an apples-to-oranges comparison that makes the economic value of going to college versus going straight to the workforce to seem greater than it actually is. Why? Because the high school senior who chooses to college has higher earning potential than the one who chooses to work and would earn more even if he/she did not go to college. Similarly, the high school senior who chooses to work rather than college would be expected to make less than the average that current college students make if he/she chose to go to college. Another example of this same concept would be the salary figures colleges promulgate. The median starting salary for a Stanford graduate is $61,300 per year. The average starting salary for a 4-year college graduate is $45,370. Does this imply a Stanford education is responsible for a $15,930 starting salary premium compared to an “average” 4-year college? Absolutely not. To understand the Stanford premium, we’d have to take all incoming college students and randomly assign them to colleges. Then, in four years we can compare the average starting salary of graduates and make a credible claim that the Stanford premium is the difference. It will be much less than $15,930. Why? Because the incoming Stanford student has a potential earning power that is higher than the typical incoming college student. Much of the current “Stanford premium” would be due to this self-selection of the student and not to the education they receive at Stanford. The information that is put out there regarding the college premium has unintended, but serious consequences. First, it pushes many students to choose college who will not gain the salary premium they expect. Many of these students will take substantial loans, may drop out, and will left in a financial mess that takes much of their adult lives to recover from. It is a little known fact that just 53% of those who enroll in a 4-year college actually end up graduating. Second, this thinking drives many strong students to go to more expensive colleges. Many don’t realize that the salary premiums they will command likely have more to do with who they are than where they choose to attend college. It is likely that the key determinants of a young person’s success will not be where he/she went to college but more their own talents, hard work, and ambition. Finally, our political leaders jump on statistics such as the college premium. They perpetuate a myth that all students should go to college, establish programs to make this possible, etc. This has contributed to unemployment among college graduates, declines in starting salaries among those who do, a crisis in middle skills employment, and a mismatch of labor to available jobs. This is not to say a college education is not a worthy pursuit. In fact, it is a good idea for most, and jobs should not be the sole goal of college. However, we don’t do right by high school students by overstating this gap and having a singular mindset that college is the only path to success. 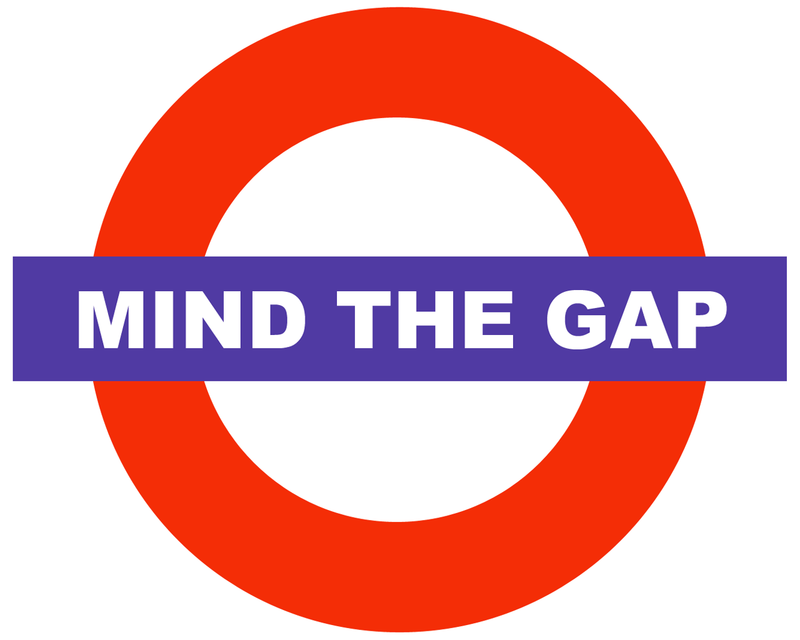 Whose Job is it to Close the Gap? There have been many studies released, from very credible sources, that indicate that a college education clearly pays back. A May 2014 New York Times article indicates that the pay gap between college graduates and non-graduates is widening, even as more students attend college. The College Board has indicated that both individuals and society as a whole benefit from increased levels of education. Pew Research has shown that although the pay gap is increasing, Americans are beginning to question the value of higher education and its affordability. Today’s colleges face many challenges in helping prepare students for the workforce. As more students attend college and costs continue to rise, higher education institutions will be under increasing pressure to prepare students for the workforce. Gaps in workforce preparedness contribute negatively to employers’ views of graduates, the reputation of colleges, and the well-being of young adults. There is a sense that college curricula are struggling to keep pace with the changing needs of the workforce. Crux Research recently conducted a study for Chegg which focused on workforce preparedness. We surveyed large samples of students, college faculty, and employers to explore beliefs around accountability and ownership in creating a hirable, attractive, ready-to-work population from U.S. colleges and universities. This study sheds new light on issues of workforce preparedness, the unique perspectives of faculty and employers, and the need for a new approach to the way faculty and employers work together. A summary of results of the project can be found at Chegg’s website here.